What's your favorite TV courtroom drama? From Perry Mason in the past to modern day real-life court cases, many eagerly relish these shows. 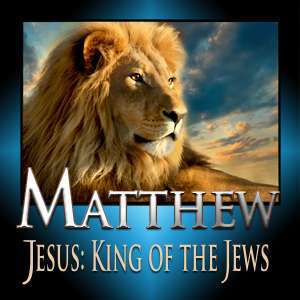 Listen to this lesson to learn that the Gospel of Matthew presents a legal argument and courtroom case for the Lord Jesus Christ as the Messianic King. Discover Matthew's three main purposes in the book and find out how Matthew's Gospel is the most Jewish of the four Gospels. See that the underlying message to us today is to become disciples, which means to become serious students of the Word of God. Dunk forward or dunk backward? Arguments over questions like this have wreaked havoc in Church history as "baptism wars" rage through the centuries. Listen to this lesson to learn what the Bible teaches about two categories of baptism and about whether baptism is necessary for salvation. See how Christian baptism speaks of the changed life of the believer. Learn about John the Baptist's mission to proclaim the coming Messiah and what Kingdom of Heaven and Kingdom of God mean.